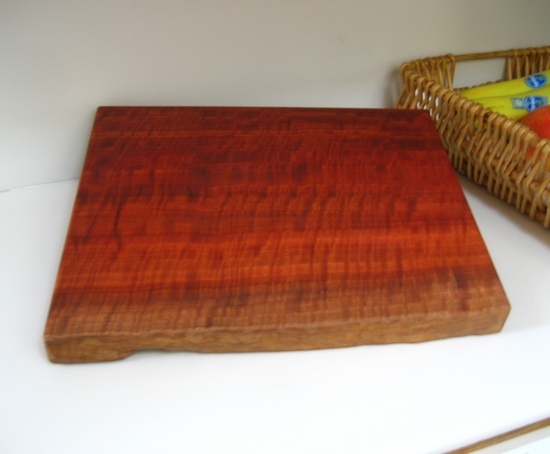 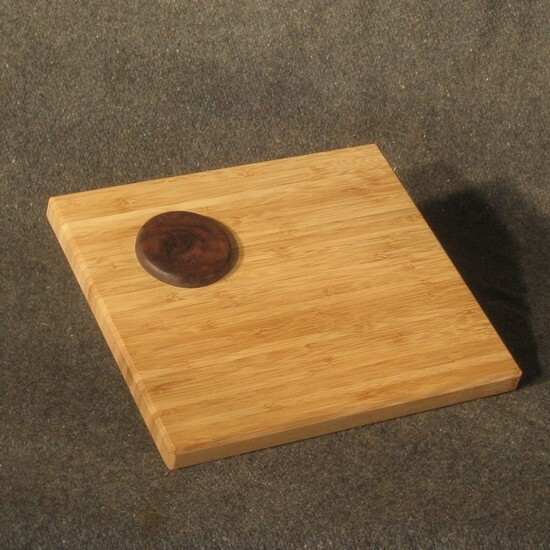 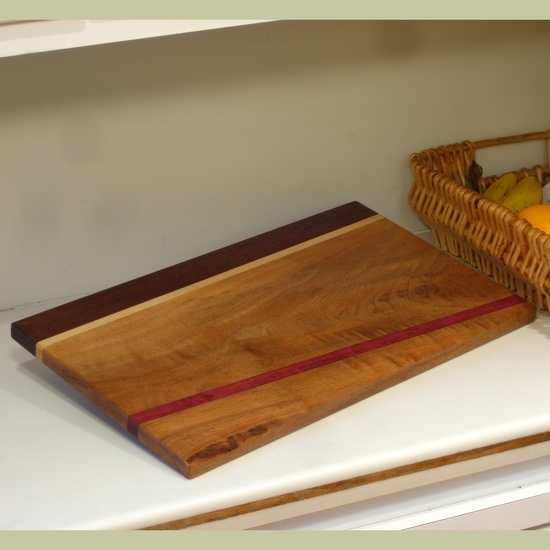 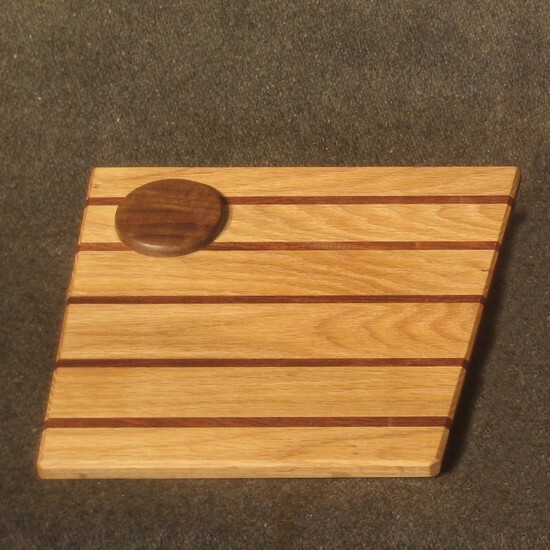 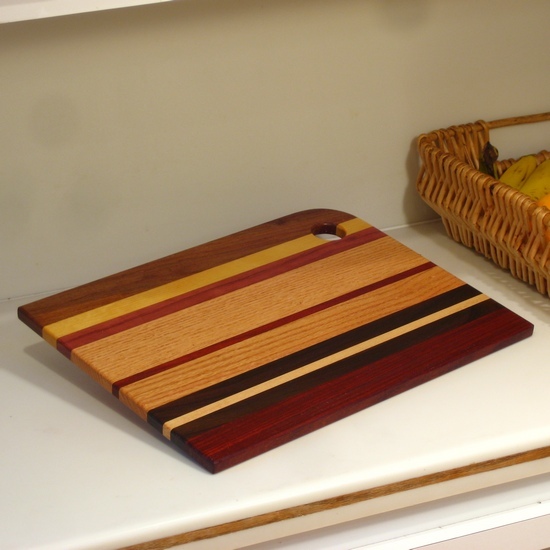 Cutting boards are great as gifts or for your own use (seriously, isn't it about time to get rid of that nasty old board?) 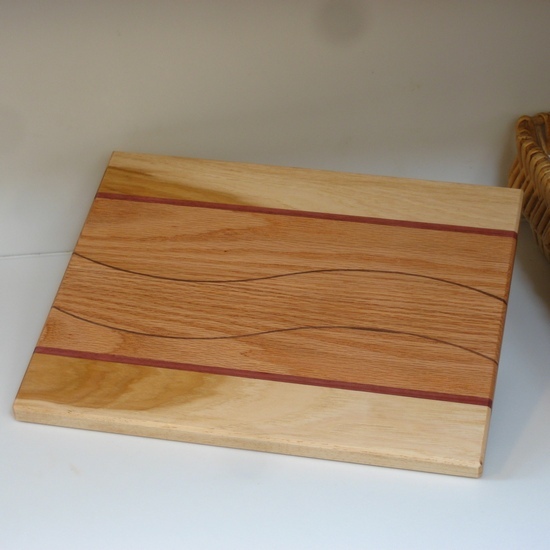 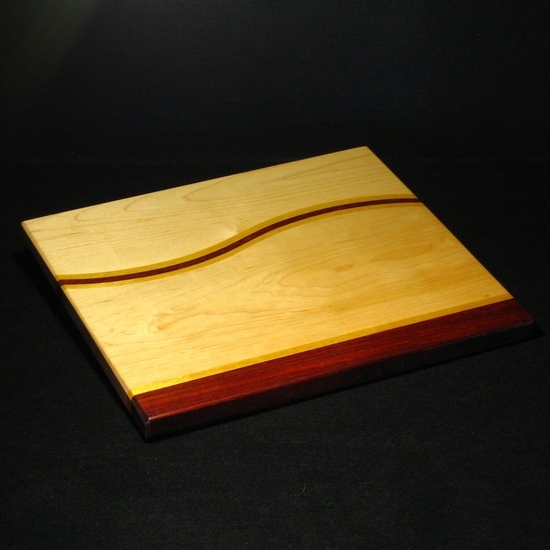 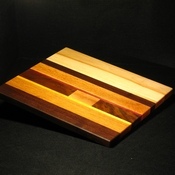 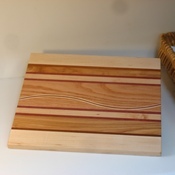 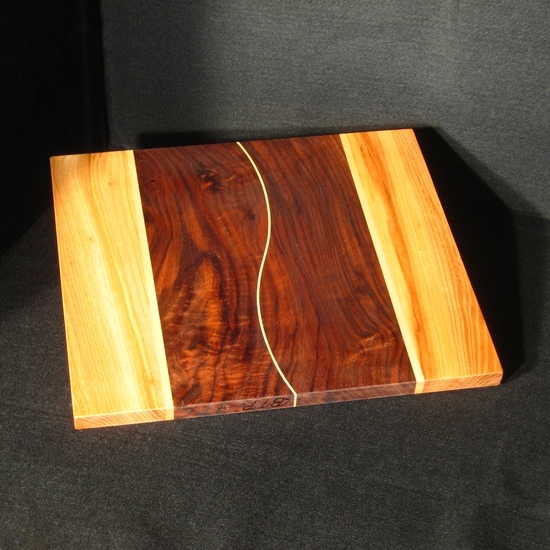 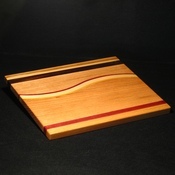 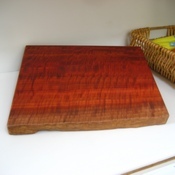 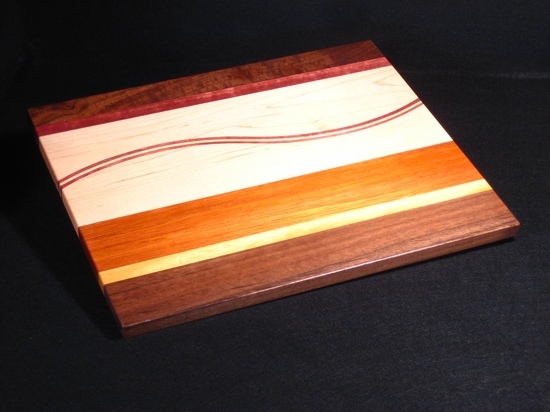 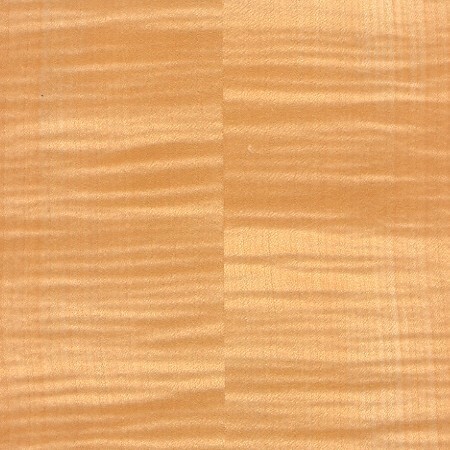 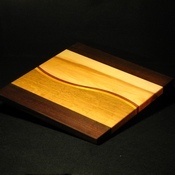 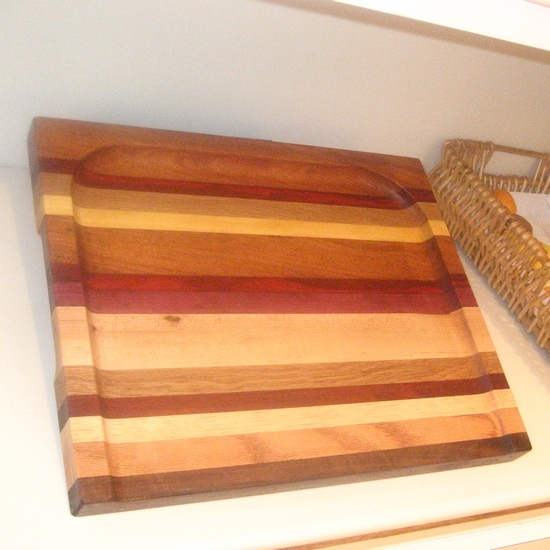 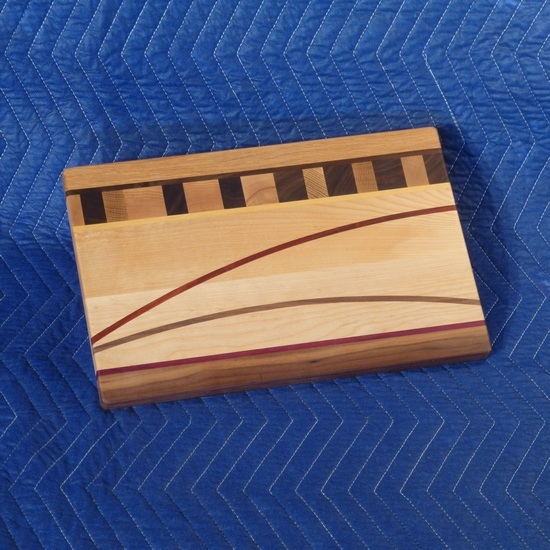 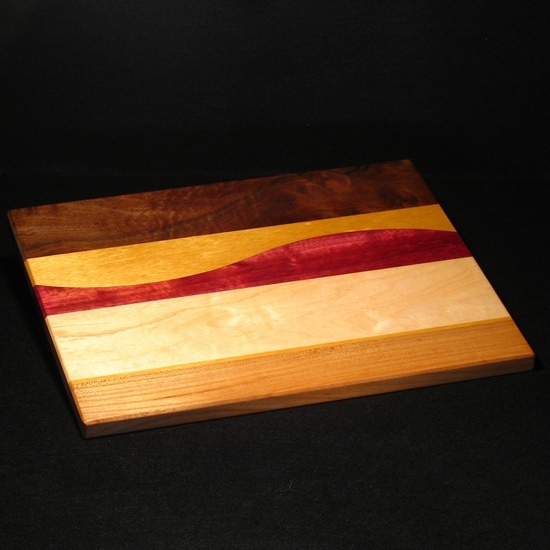 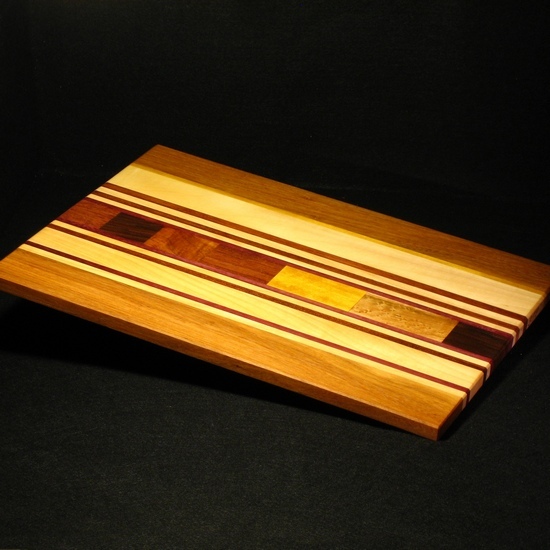 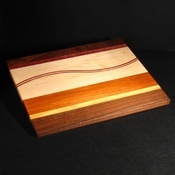 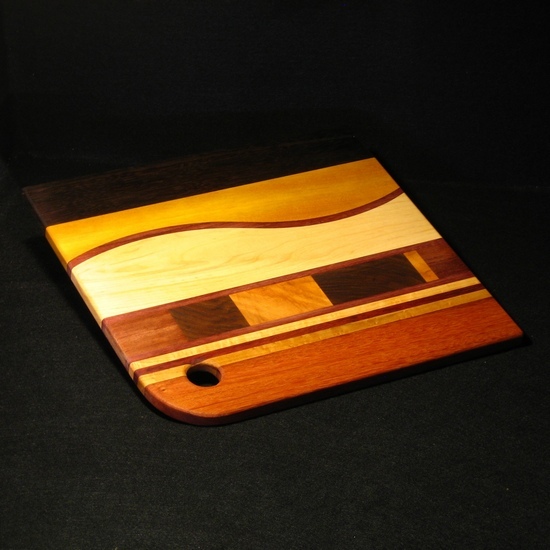 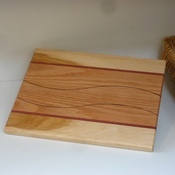 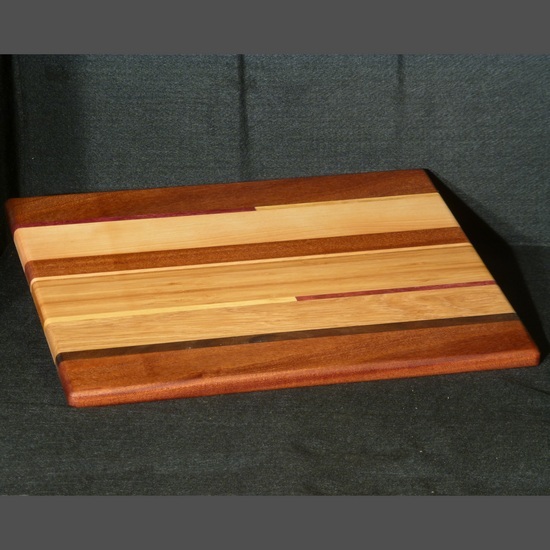 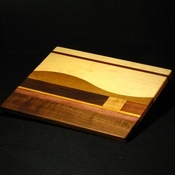 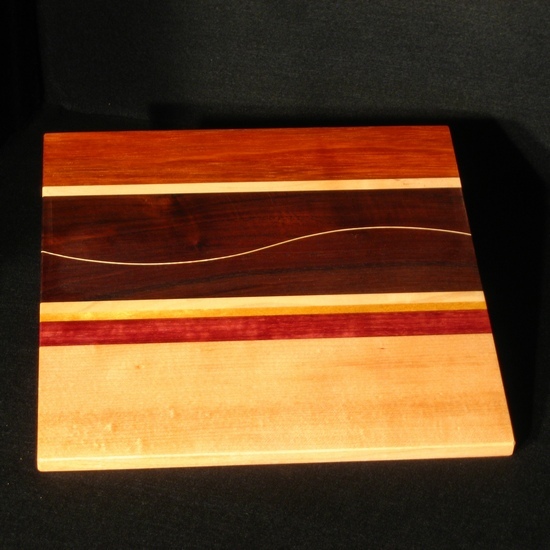 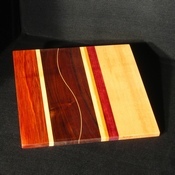 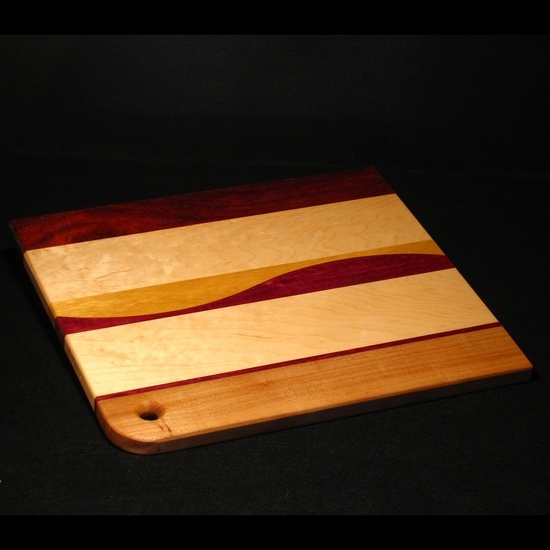 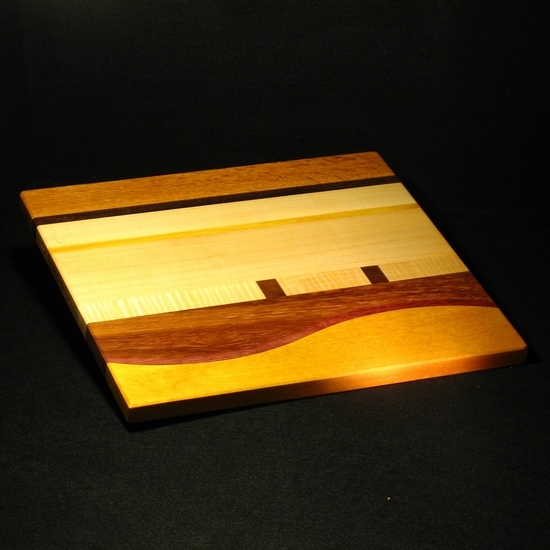 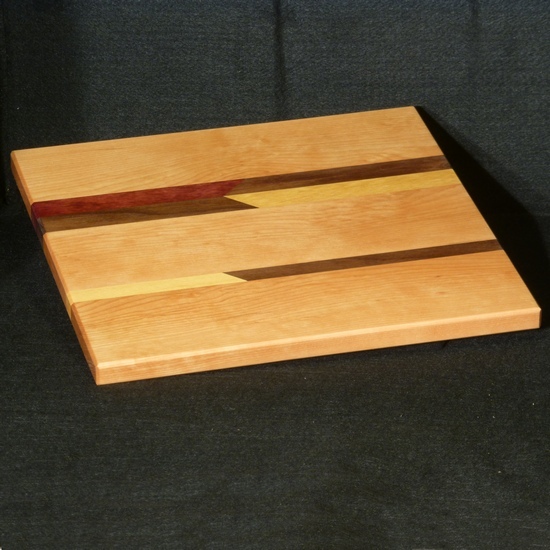 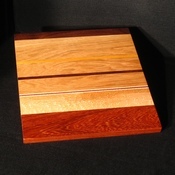 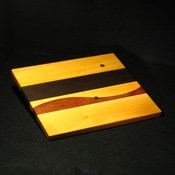 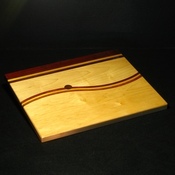 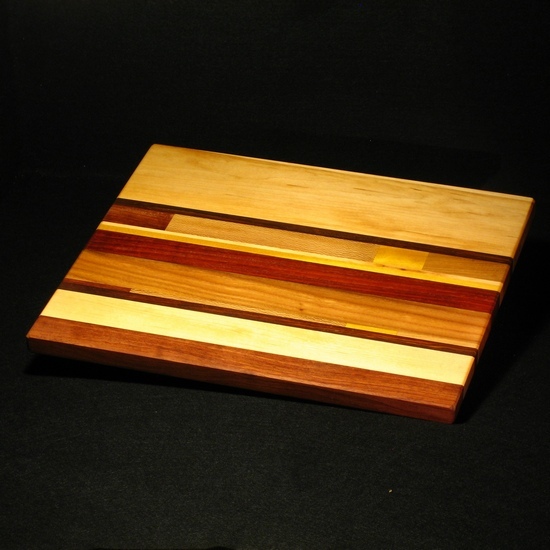 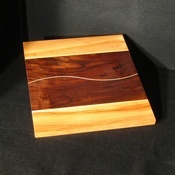 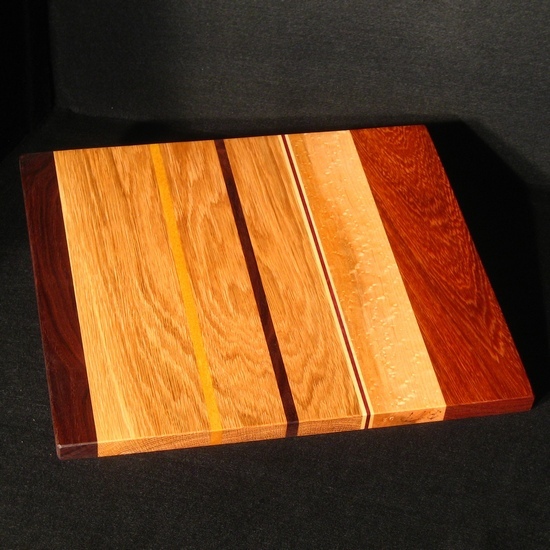 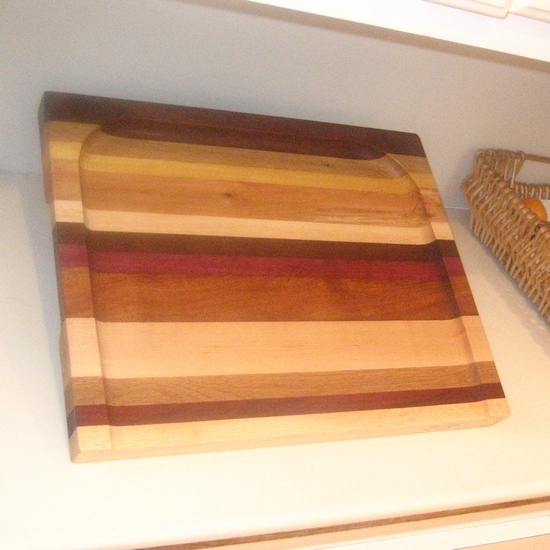 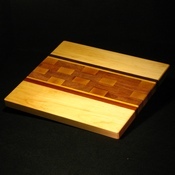 I've been making a series of cutting boards with colorful woods and beautiful graining. 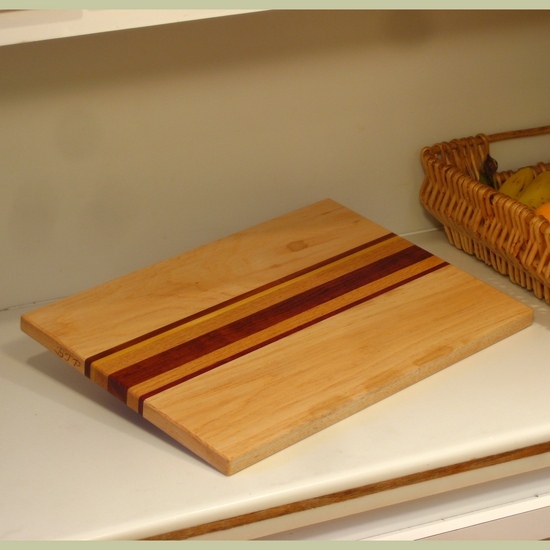 All are sealed in food-grade mineral oil. 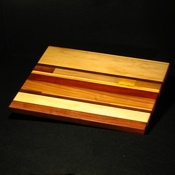 Typical 10" x 14" x 3/4"
Typical 12" x 14" x 3/4"
Typical 12" x 16" x 3/4"
Typical 14" x 16" x 3/4"
Trenchers are special forms of cutting boards with a slanted cutting surface to collect juices. 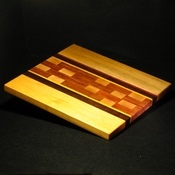 They are ideal for carving roasts, turkey, and such. 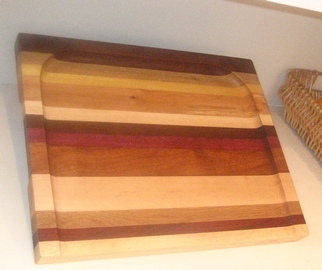 The under side has cutouts for handles. 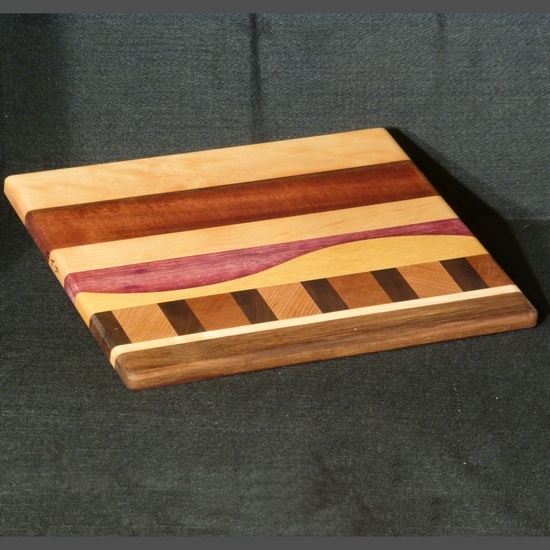 The following are sold, but contact me if you would like your own. 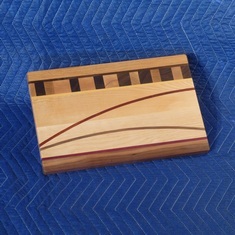 16" x 13"x 1 3/4"